The Market is segmented by Platform (Land, Air, Sea, Space), and Geography. 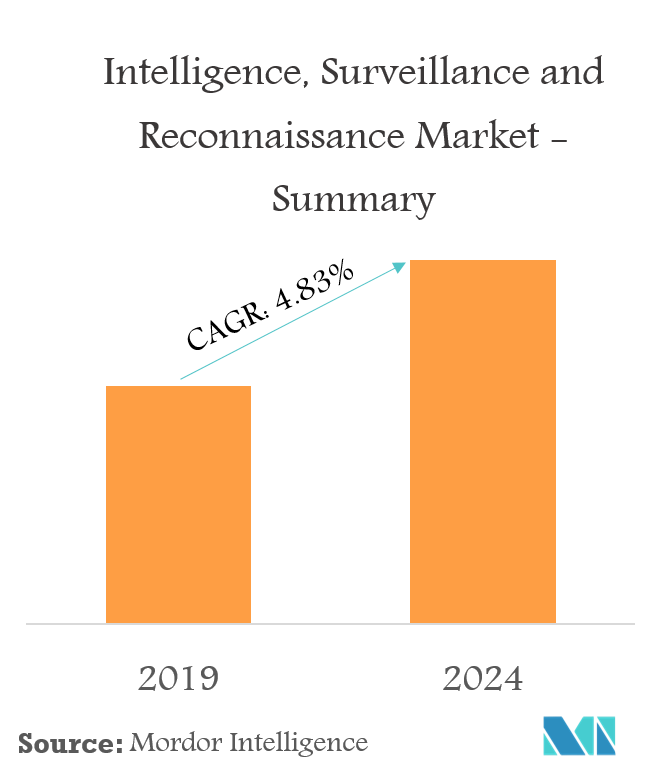 The Intelligence, Surveillance and Reconnaissance market is anticipated to reach USD 46.54 billion by 2024, at a CAGR of 4.83% during the forecast period. The major goal of ISR is ‘success through information dominance’. Rapid technological developments are breeding disruptive technologies in the defense industry. Impact of defense majors’ portfolio capabilities creates an unexpected competition, particularly in the case for ISR. ISR is an integrated intelligence and operations function that can be defined as a coordinated acquisition, processing, and provision of accurate, relevant, timely information and intelligence to support the defense force's decision-making process. 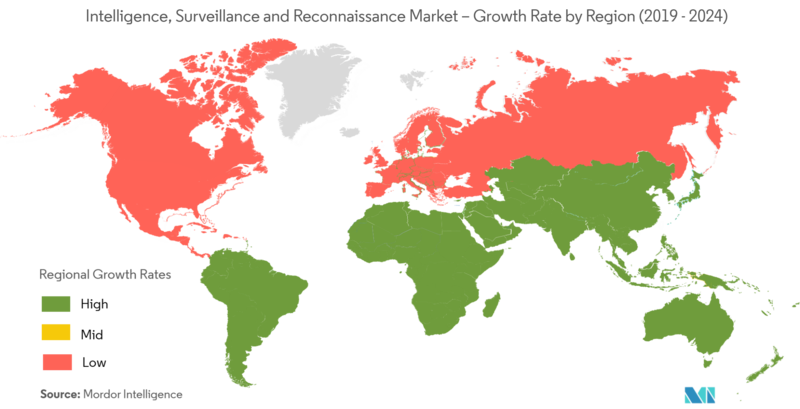 The global ISR market is segmented based on platforms into land, air, sea, and space. The land-based platforms segment held the largest market share in 2018. The air-based platforms segment, led by the increasing popularity of UAVs and communication system, is expected to be one of the fastest-growing segments until 2024, and it is likely to control almost one-third of the market. The space platforms segment is anticipated to attract the maximum attention and is likely to be the most-explored segment of this industry. 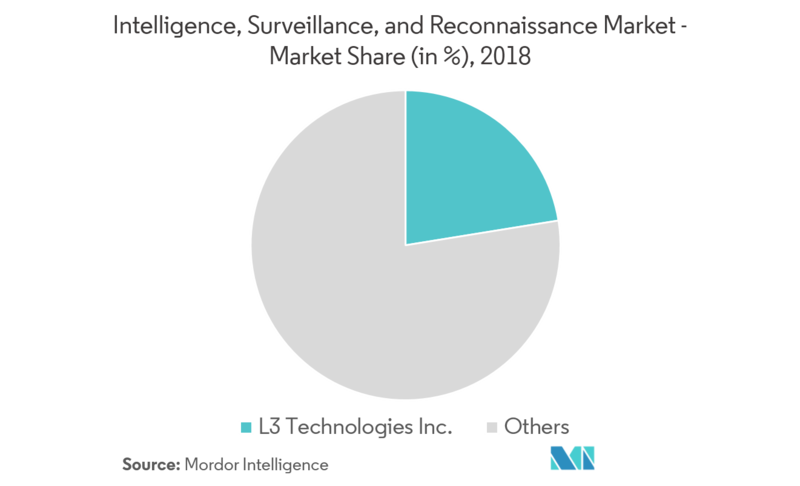 As seen in some new projects, the market at present is moving toward consolidation and integration of ISR systems across all platforms, which may result in efficiency and performance. In the airborne segment, the demand for electronic support/countermeasures (ESM/ECM), airborne C3, and surveillance/maritime patrol aircraft is expected to grow steadily, owing to the increasing need for total situational awareness, air superiority, and survivability. The United States is one of the leading countries, in terms of defense platforms and spending. The country also spends heavily in order to bring collaboration between naval, airborne space, as well as land forces. The United States Coast Guard’s Command, Control, Communications, Computers, Intelligence, Surveillance and Reconnaissance Systems Acquisition Program is a multi-year effort in order to design, develop, and integrate the equipment used on the Coast Guard’s newest assets, which also includes the national security cutter, offshore patrol cutter, long-range surveillance aircraft (HC-130J), and the medium range surveillance aircraft (HC-144A, C-27J). Currently, North America holds a major share. However, the market dynamics are shifting towards the Asia-Pacific and Middle East regions. China and India are taking huge strides toward strengthening their armed force capabilities, and are among the top five defense spending countries in the world. Also, both these countries have plans to enhance their unmanned aerial systems in the near future, which is expected to propel the growth of the market in this region.